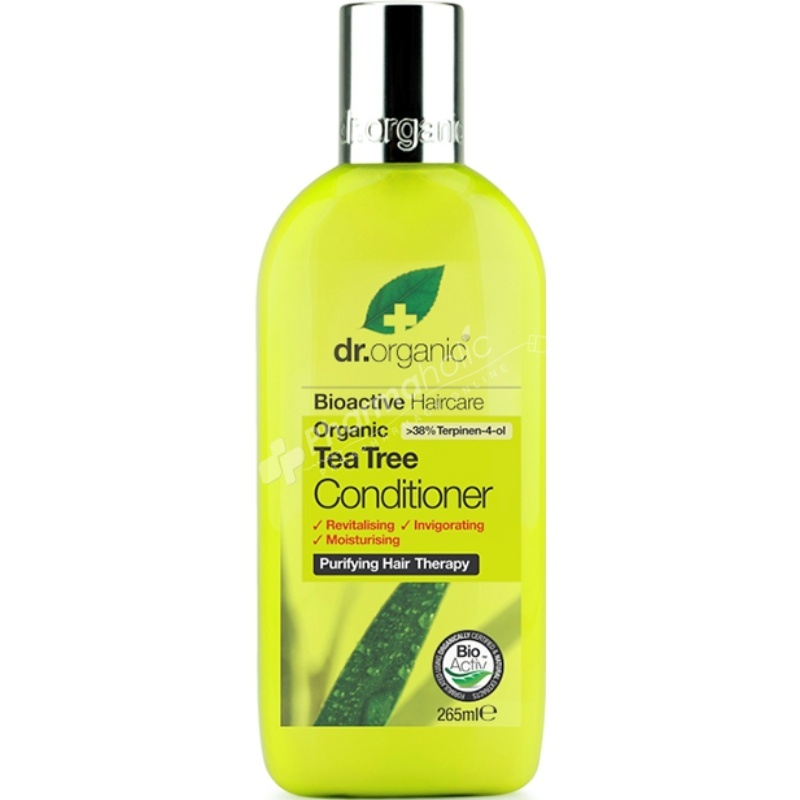 Dr.Organic Organic Tea Tree Conditioner is an An invigorating and nourishing conditioner suitable for normal and oily hair types. It is formulated with Organic Tea Tree, Aloe Vera, Shea butter, Hydrolyzed milk protein, Panthenol, Sunflower oil and Vitamin E.
An invigorating and nourishing conditioner suitable for normal and oily hair types, formulated with Organic Tea Tree, Aloe Vera, Shea butter, Hydrolyzed milk protein, Panthenol, Sunflower oil and Vitamin E.
Used in conjunction with Dr Organic Tea Tree shampoo this incredibly effective formulation naturally improves the condition of the hair by coating and penetrating the hair’s external fibres and cellular keratin matrix to purify and revitalise. Smooth conditioner through wet hair, leave as desired and rinse. For best results use with Dr Organic Tea Tree Shampoo. Aloe barbadensis leaf juice, Aqua, Polyglyceryl-3 methylglucose distearate, Glycerin, Cetearyl alcohol, Melaleuca alternifolia oil, Butyrospermum parkii butter, Glyceryl caprylate, Hydrolyzed milk protein, Panthenol, Guar hydroxypropyltrimonium chloride, Menta piperita oil, Tocopherol, Helianthus annuus seed oil, Sodium benzoate, Potassium sorbate, Sodium phytate, Limonene.